BUY NOW AND REAP THE REWARDS OF 2018 RENTAL INCOME, ONE OPEN WEEK LEFT WILL PUT THIS OVER 10% ROI. 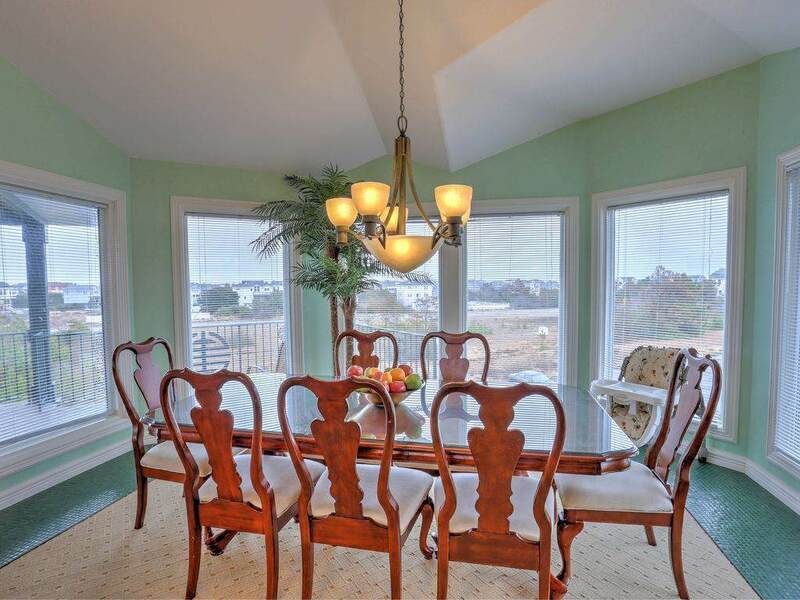 Undoubtedly one of the most impressive homes in Monteray Shores and Corolla! This former showcase model home is built with state-of-the-art designs, materials, appliances, elaborate tile work, upgrades and furnishings. 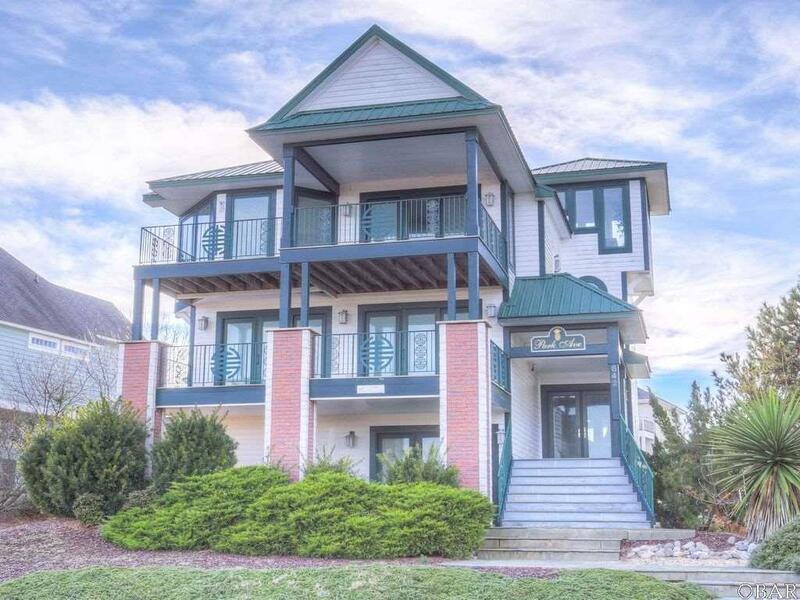 It is hard to describe in words the scale of the creative additions this 6 bedroom, 5 bath home offers, with over $277,000 in upgrades (see accompanying documentation). 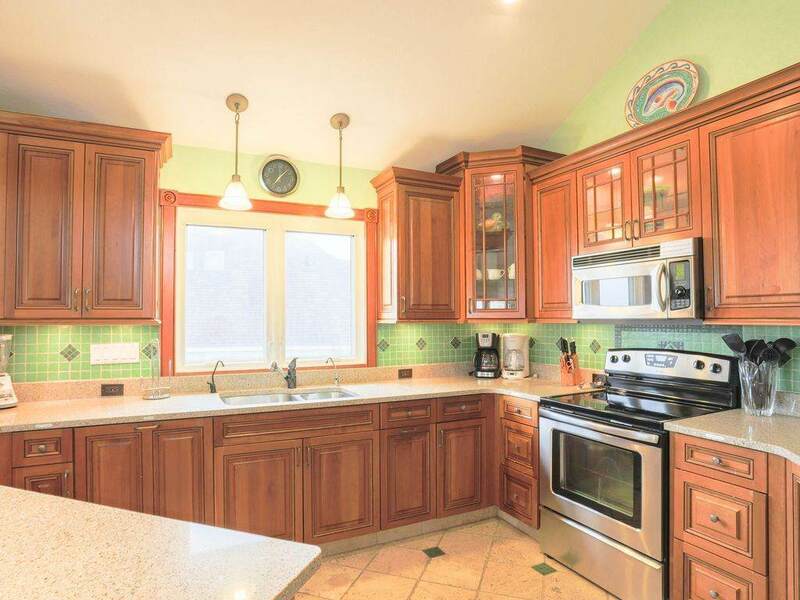 Starting with the Chefs Kitchen offering warm custom cherry cabinetry and woodwork, granite, marble & Silestone countertopsand top of the line Sub-Zero & Bosch appliances. This quality built home also features metal roofing, hearty plank siding, sprayed foam insulation, custom balusters, Pella Architect Series windows & sliders, solid wood interior doors, 3 zone/unit HVAC, custom paver driveway, flagstone paths & patio, Trex decking and a large open top floor plan with Ocean Views! Park Ave offers room for everyone boasting 3 Master Suites, ALL with spa style private bathrooms. 2 more bedrooms on the mid-level sharing another spa bathroom, and the 6th bedroom on the lower level with full bath. You will find custom intricate tile work in every bathroom, many including dual overhead & side jetted showers! The perfect game room area is also located on the lower leveloffering a wet bar, built-in custom cabinetry, Sub-Zero tinted glass door beer & wine refrigerator, pool table, large flat screen TV and Mega Touch ION touchscreen arcade game. Kick back and relax on one of the 2 balconies that boast ocean views when you take a seat in one of Park Aves rocking chairs or bench porch swing, with room for 3! Also, there are 2 owners closets, one of which is a huge 13 x 11 secure room with tons of storage and shelving. This homes luxurious pool area is one of the most elaborate you will find, including a custom Black Gunite pool with rich iridescent custom tile work surrounded by natural slate pool deck and coping. The landscaped pool area has a resort like feel with its large hot tub, Tiki Bar, glass patio tables w/umbrellas and multi-color sling lounge chairs with plenty of seating for large groups. 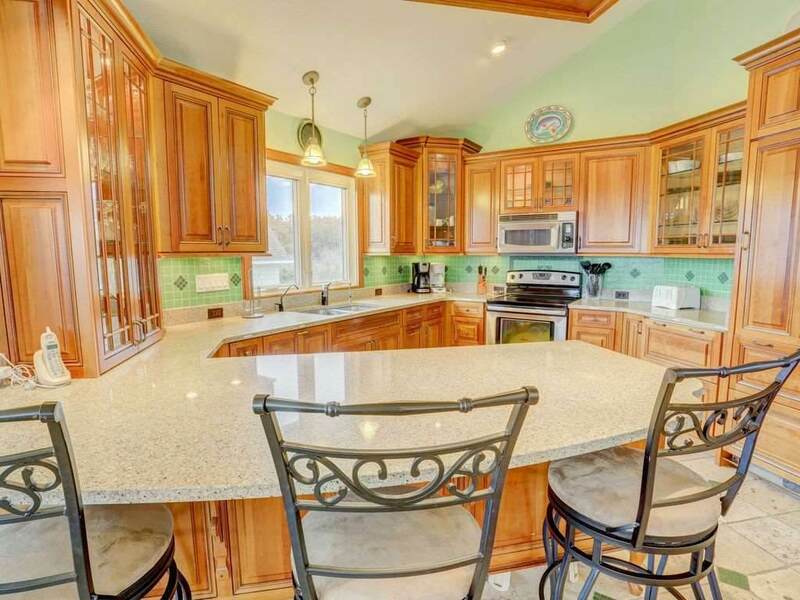 This spectacular home is by far one of the Best "WOW FACTOR homes in the OBX! Conveniently located within a few minute walk to the Ocean, the Sound, Timbuck II Shopping Village, Food Lion, Monteray Shores Amenities and numerous local restaurantsthe guests love this! Popular rental, this is what investors are looking for10% ROI!